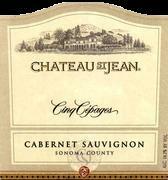 This beautiful bordeaux style blend is no stranger to high acclaim and satisfied wine enthusiasts. This lovely blend boasts complex layers of bittersweet chocolate, hibiscus and lavender surround big chewy tannins in the mid-palate. Flavors of sweet oak and spice combined with tobacco and blueberries linger throughout a lengthy finish. I would score it a 93 and rate it as one of my favorite wines of all time.